Historisches Museum or Historical Museum features the objects relating to Frankfurt's history. It was moved into the historical building known as Saalhof in 1955. 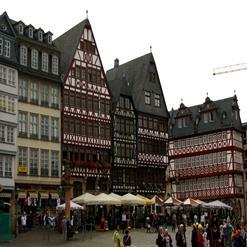 The museum features various permanent exhibitions like the Late Middle Ages, Mediaeval Frankfurt, the 16th to 18th centuries and the 19th century city. It also features important art works of some popular artists including Albrecht Dürer and Alfred Rethel.